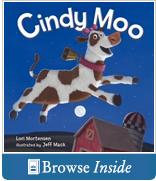 It’s time to get your kids “moo-ving!” All you need is a copy of this book and some hoops. (Real rain puddles would be best, but...well, they’re wet.) Begin by making sure that all of your little ones are familiar with the nursery rhyme “Hey Diddle Diddle.” For fun you can check out the many versions of the rhyme/song on YouTube. Here are two I liked. The first has the words and a pleasant version of the tune. The second video is from vintage Sesame Street. And now introducing...Cindy Moo! She’s the determined cow that is going to help your young readers practice our comprehension strategy of the day: questioning. 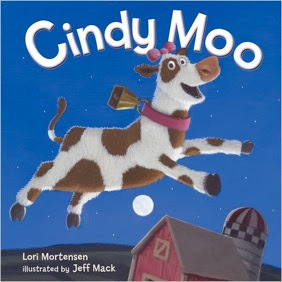 After all, Cindy Moo wouldn’t be where she is today (famous) if she hadn’t asked the question, “WHY can’t a cow jump to the moon?” Let the questions begin before you even open the book. Just look at the cover. 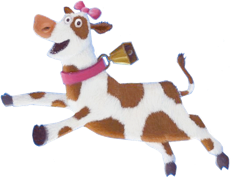 WHY is the cow jumping? WHAT are the three cows on the back thinking as they look on? 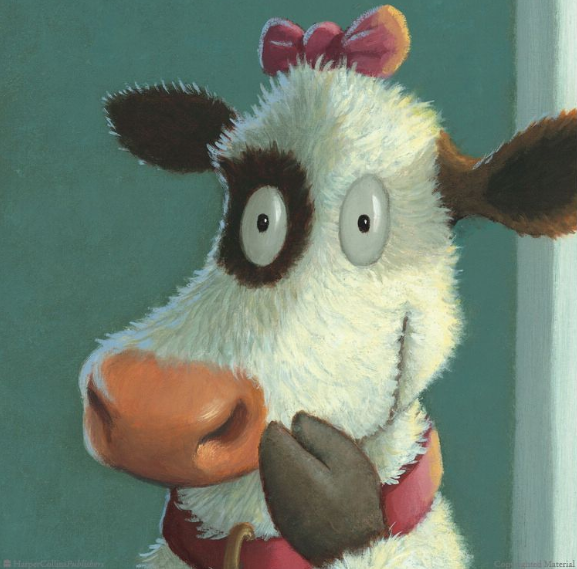 Now on to the first pages...WHY is the cow peeking out of the barn? WHAT is the girl reading? And before too long, the burning question..."WHY can’t a cow jump to the moon?” Give your listeners time to discuss the issues, just as the cows in the barn did that very night. To really stretch their thinking, insert a question that isn’t in the book. Ask students to problem-solve with partners. 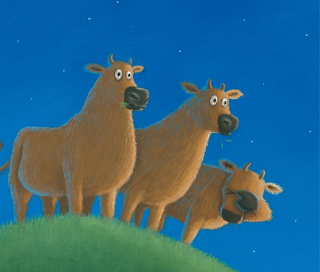 If a cow wanted to jump over the moon, HOW could it be done? You might get some pretty creative answers! Continue reading to find out how Cindy Loo finally makes it over the moon. http://www.pond5.com/music/1/hoedown.html and also songs on this site that I could download for free http://www.mediamusicnow.co.uk/royalty-free-music-loops/country/hoedown. Take your kids to a gym or open area. Arrange your hula hoop puddles throughout the area. Place a paper-plate moon in each puddle. Now just play the music and encourage the kiddie cattle to start jumping puddles. Yee-Haw! For an inside peek into the book click here! I'm so happy to find your blog and I'm your newest follower. Now I'm off to buy Cindy Moo. What a fun lesson! I know so many Kinder teachers who do nursery rhyme units- this book must be added (and the movement activity too!) Great blog! The artwork is adorable! Looks like a really fun book to read aloud! How cute is this!! I love new books and will have tt add this to my collection. I love your lesson! I'm a new follower! I purchased Cindy Moo to use with my Nursery Rhyme Unit this fall, so I was so glad to see your post. I'm a new follower. Jayne, I just found your blog today. Ok, I know everybody says, when they find a new blog, that they just love your ideas. But really, I feel like we're kindred spirits. I went to music school for 4 years and then decided I wanted to change from music therapy to education. I thought I could still use all of my dance, theatre and music background in the classroom every day. Truly, I love what you're doing here. I'm your latest follower and would appreciate it so much if you'd come over to my blog. By the way, I love the way your posts are organized! Very helpful!